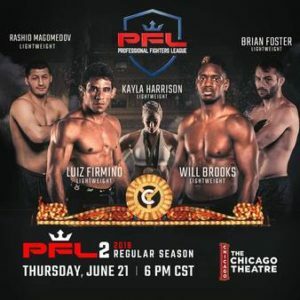 Event 2 of the inaugural season of the Pro Fighters League, takes place at the Chicago Theater, in Chicago Illinois. 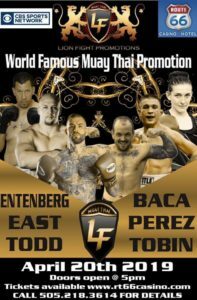 The 13 fight card features primarily Lightweight & Light Heavyweight action. The main event has former Bellator champion & UFC vet “Ill” Will Brooks & TUF 21 alum, 5-fight vet of the WSOF Luis “Buscape” Firmino. A special feature in the woman’s lightweight division will see the mma debut of Judo Gold medalist Kayla Harrison against Colorado’s Brittney Elkin.